These are the babies I picked up from Julia at Arcana Wildcraft back in November/December. Julia recently opened her webstore back up after a little holiday hiatus to chill and revive. 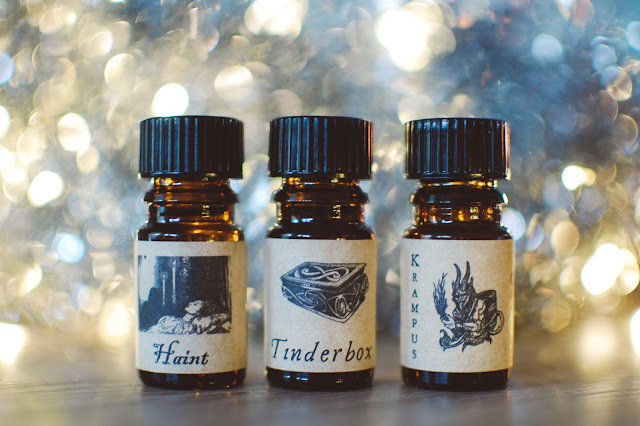 As of right now and until February 15th, Krampus Cones and Tinderbox ($26 each) are currently in stock but if you come across them in a destash or they return one day they are certainly worth checking out. Haint- Notes: The sweet, melancholy essence of a Southern ghost drifting through dark mountain hollows and neo-classical mansions. White musk, vanilla musk, Madagascar vanilla, sugarcane and a faint trail of white pepper. Haint is a legend among Arcana fans. 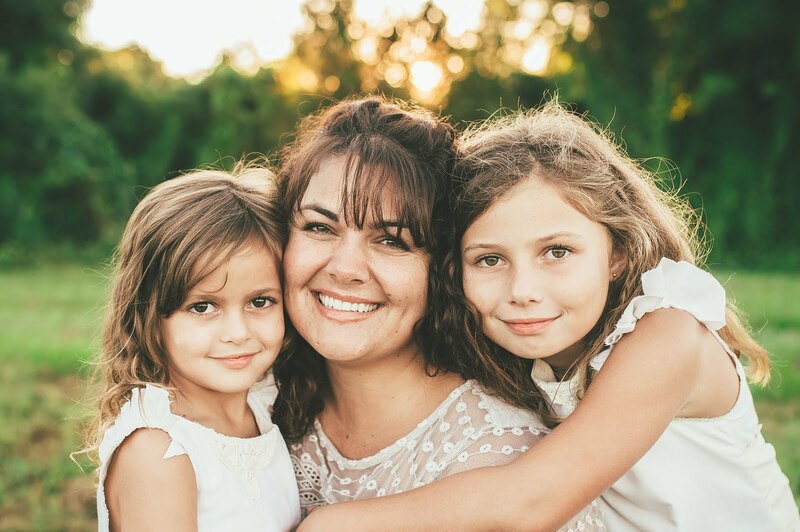 Often revered and highly sought after for years, Julia was able to bring it back to life after a long hiatus. If I was to be an indie perfume blogger worth her salt I needed to buy this. I am glad I did. It is lovely, indeed. On my skin Haint hovers like a vanilla skin musk ever so gauzy and gossamer. The white pepper lends a human element to the musk so that it is more earthen and suggestive rather than scrubbed clean. A Gothic beauty in every way. Tinderbox- Notes: The essence of a baroque case filled with tempered firesteel, flint and linen charcloth: resinous black amber, woodsmoke, sweet mallow root, frankincense, cubeb and sandalwood. Tinderbox has been a long time coming. I have eyed this one for a good five years. The notes all ring my chimes but then I would ask myself how many smoky scents do I need? I was remiss to wait to long to pick this one up. It is the king of smoky scents. The reigning royal of all things charred, warm and fiery. This has that cozy hearth fire appeal like warm sooty bricks and black bellied wood burning stoves. It is not sweet, not acrid, not ashy but realistic and comforting. I do feel like I want to wear a flannel shirt and jeans on a chilly day when I wear this. A delight. As it wears, arid woods and sun warmed spicy resins make an appearance. Krampus Cones- Notes: Cold black pepper ice cream with vanilla bean specks, a swirl of dark caramel and a bit of accursed waffle cone. I love Krampus Cones. It was a gift with purchase scent for the Yules back in 2017 and I fell hard for it. In the bottle it is an intense vanilla with almost a touch of human gaminess to it, don't be scared. Once on the skin it morphs rather quickly, passing through that awkward intensity, running through a vein of spice and then landing into this stunning chilly vanilla that smells expensive and charming. The dark caramel is infused with tonka and musky pepper and curls and ribbons through the scent like an embroidery floss of smoke. It is one that needs to be worn to be appreciated. It is subtle, sweet and softly smoky, drying down into a sweet golden amber syrup. These two lovelies were gifts with purchases. White Fire- Notes: Incense-laced red musk, white amber, tart kumquat, woodsmoke, caramel, maple sugar and a curl of smoky frankincense and myrrh. Like many perfume oils this one simply cannot be judged by sniffing from the bottle. Putting it on is totally necessary. Tart citrus and bitter pith flicker up from the wrist when dabbed on. Within a few minutes a sinuous dragon of incense smoke swells underneath, allowing the snappy kumquat to shimmer unabated in green and white hues. There is a push and pull dynamic to this one. It is complex. There is earthy incense and smoke with a powerful grounding feel, yet there is also bittersweet wild citrus and stark white amber and these poke and prod with their intensity. The deeper incense resins pull though and shine in the base of the scent. This is one that needs to be worn, it is worth exploring. I have a feeling it is a shifter on people. 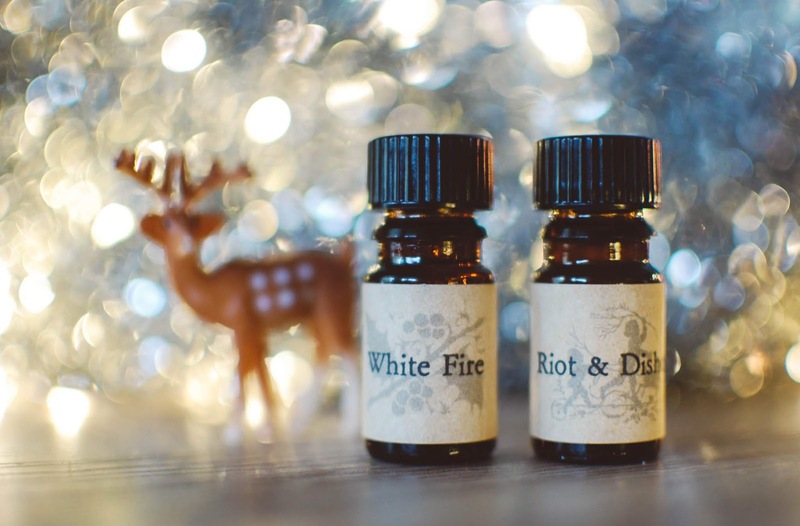 Riot & Dishonor- Notes: Broken glass, smashed pumpkin pie, spilled ale, rum-laced eggnog, cannabis, whiskey and shattered gold and amber jewelry. Fresh on the skin Riot smacks of honeyed whiskey sauce on a cooled pumpkin pie. Boozy hops joins the festivities briefly. It must be a spiced lager from the local brewery. It smells divine and it only gets better. The tipsy gourmand aroma melts into a pool of creamy vanilla in the heart of the scent. There isn't tobacco listed in the notes but that insinuation develops on my skin and I adore it. It settles in to a marriage of honeyed vanilla and amber that wafts beautifully from the skin. The Yules do come down the 15th of February like I mentioned but the Valentine's scents are up there right now. Anodyne sounds like one I would want to wear to bed: peppermint, chamomile, honey, rice wine and copaiba. Mmmmmm. What scent notes are you craving right now? I have a mean hankering for patchouli and vanilla and evergreens right now. I think it is all this cold weather. They all sound amazing! I seem to crave Patchouli all times of year. To me it goes with so many things! I do a lot of wrist blending starting with Patch. Lovely review! I crave patchouli year 'round too. It really is a comfort scent for me. I agree. It is very versatile and flexible. Thank you, Doreen! Speaking of cold I heard from one of my Wisconsin friends that it is -23 outside today. I hope Deb is okay!! Yikes!!! That is entirely too cold for my blood. Deb mentioned even having the power go out at some point. That cannot be fun. Love Arcana blends! I regret letting Haint get away, but I was/am on a low buy. I do have Tinderbox and agree with your analysis of it. I do too!! Julia crafts some truly lovely scents. I was wearing Terrible Enchantment the other day and it was pure magic. I am trying to be on a low buy too. Limiting myself to 1 or 2 perfumes from a release but even then it adds up. Thank you for your kind words! I really love Tinderbox and I am very happy I sprung for it. I've been getting back into burning my incense stash. If I ever think I'm going to buy a bunch I'm eyeing up, I really, really need to burn what I already have. Those are all earthy types. Woods are one of my very favorite genres in perfume. Do you like sandalwood? Cedar? Mmmmm Blue Sugar! I have not really been craving anything in particular in wax tarts lately but a nice blue sugar is always welcome in the melting basket. I love that when you get a hankering to order something you go right to your stash and use what you have. I have been lighting candles and burning incense more often as of late. Adam (who hates incense!) even picked me up some incense cones when he went somewhere for me recently. I have been using those. Sorry it took me so long to reply. Things have been off kilter for me lately and I have been negligent. Yes, I love both cedarwood and sandalwood! But, I've been hankering more for mossy green forest types. Not sharp or astringent, but kinda lush yet deep and rich. I've been browsing around lately, but only just a bit.. I'll need to grab a few eventually to satisfy. I've also been wanting some perfumes with cannabis as a note. There's a few from Hexennacht I want to pick up soon! Wonder what my next perfume craving will be? Have you been into any specific notes lately? Ooooooo.... I am thinking Her Forest from Julia's Deer collection might be good. But also Pacific Forest from Sonoma Scent Studio. I will have to decant you some and see what you think. I love Hotboxing the Gingerbread House for that cannabis note. I also use the "anxiety" roll-on from Life Flower Care that is robustly cannabis scented, it has CBD as well. But I use it for bed or when I am stressed. LOL!!! I always wonder what my next craving will be. Right now I can't stop applying Filthy Viking for the minty juniper and anything cedar or frankincense. Must be a woods phase too. Ah, all your suggestions are wonderful! And you know, I would never have thought about a cbd roll-on as an option!! Thank you! You're a genius! Your perfume cravings sound lovely as well! Ha, "accursed waffle cone" has me laughing! Never thought I'd see the day a waffle cone was described as accursed. LOL!!! Julia has a great, great sense of humor. Super witty and sweet. I guess if someone as dastardly as the Krampus is to eat ice cream it very well might be housed in an accursed waffle cone.